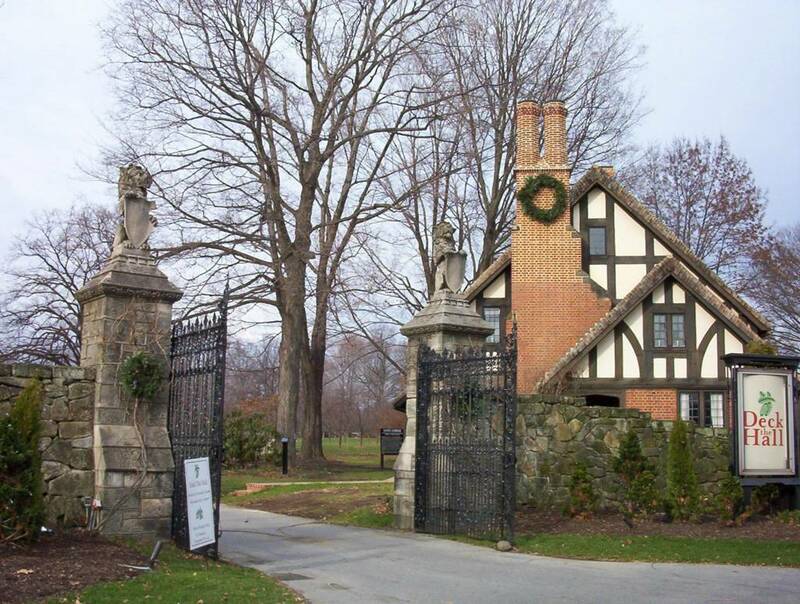 Stan Hywet Hall; Entrance Gate Lodge -- this is where AA movement started 70 years ago. Let's go through the gates. The Entrance Gate lodge is on your right. There is a beautiful English meadow on your left, and at the end of the 1/4 mile road, you will see the house. 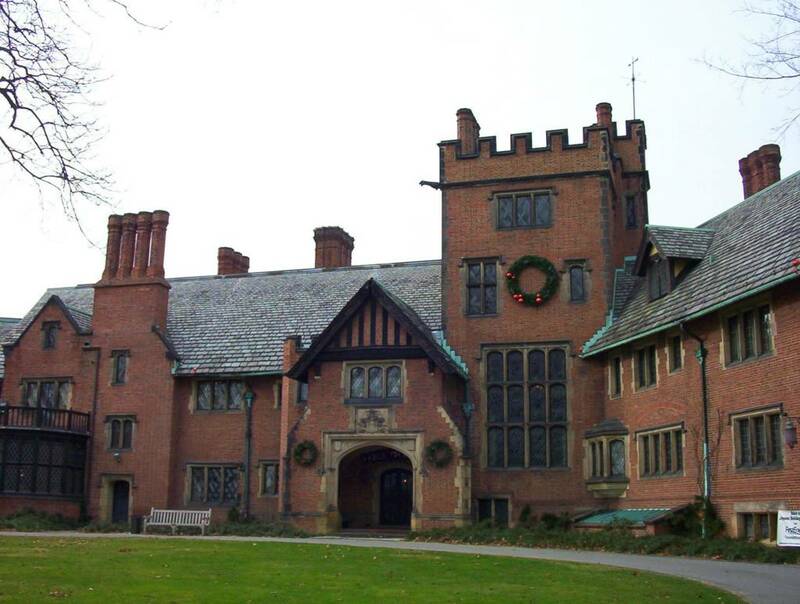 Stan Hywet looks like a 300-year-old English castle, although it was built in 1915. Let's get closer. 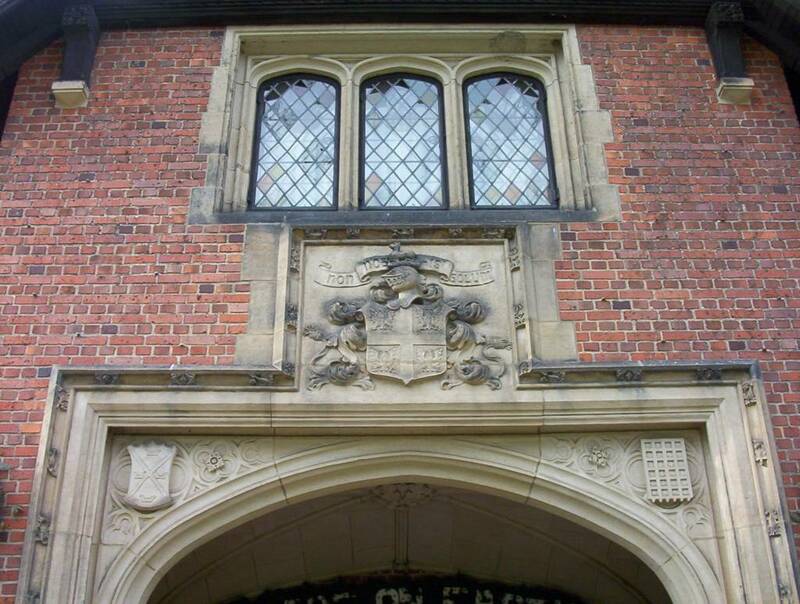 Check the Latin inscription over the entrance, saying "Not for us alone". This house was too big for one family and a lot of people, including 4 US presidents, visited throughout the years. 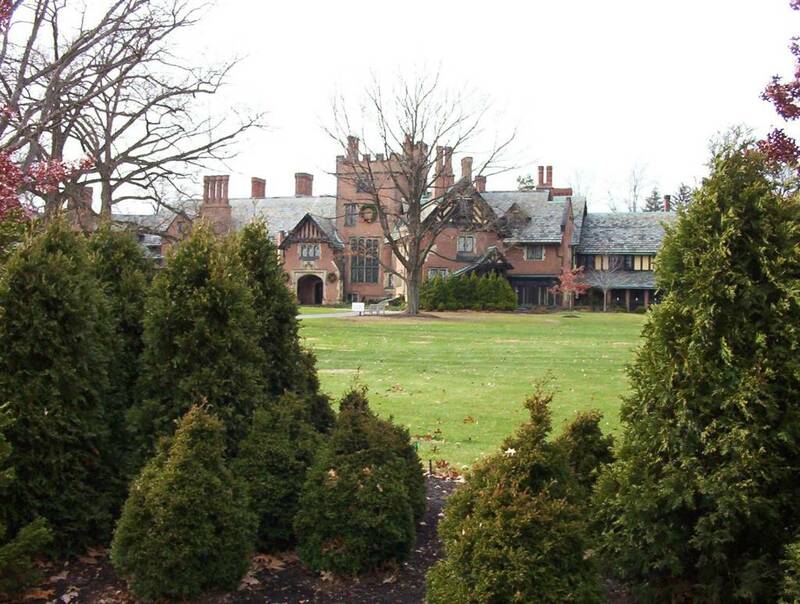 What is Stan Hywet Hall? 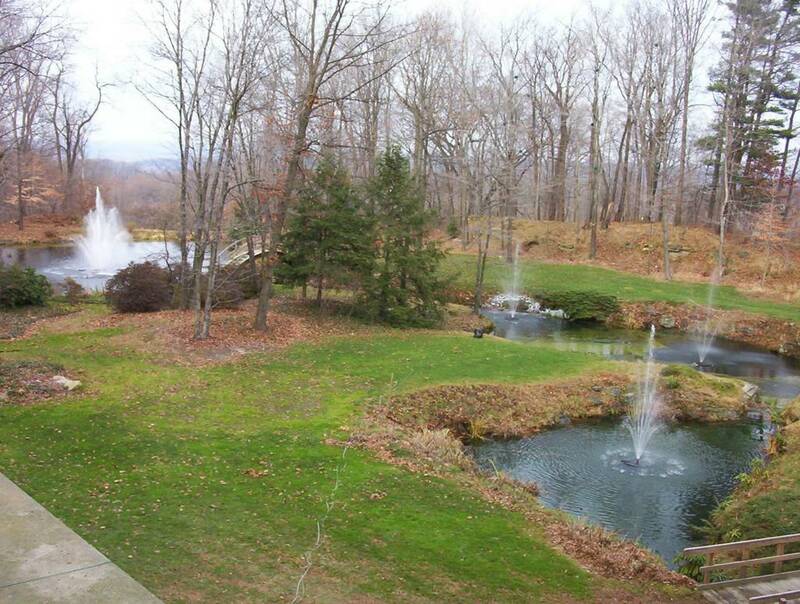 This is the Seiberlings mansion house and the surrounding gardens. It was built between 1911 and 1915 by the Goodyear co-founder Frank Seiberling. 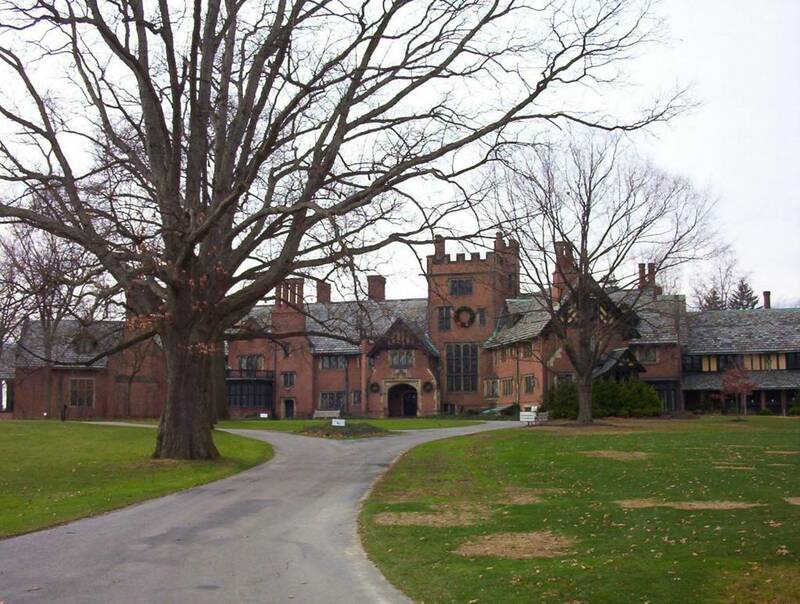 The 65-room mansion and estate occupies 70 acres and has served as a public attraction in Akron for 45 years. 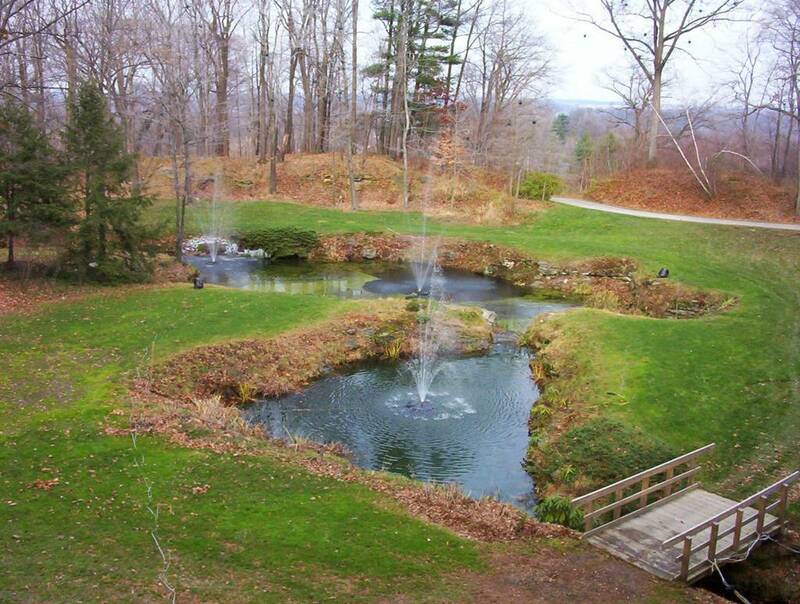 There is an English walled garden, a rose garden, and a Japanese garden. The Latin words over the front door say "“Not For Us Alone". 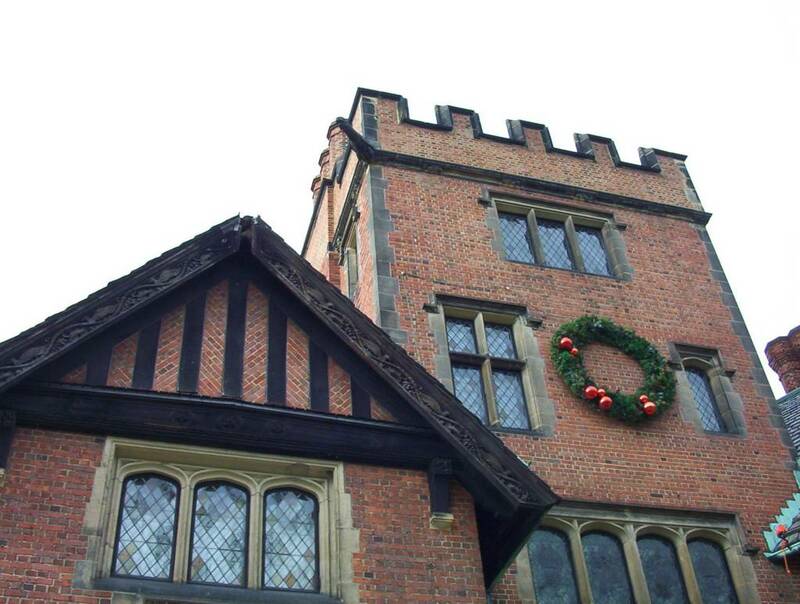 A Cleveland architect traveled with the family throughout Europe gathering inspiration from three English estates to build Stan Hywet. 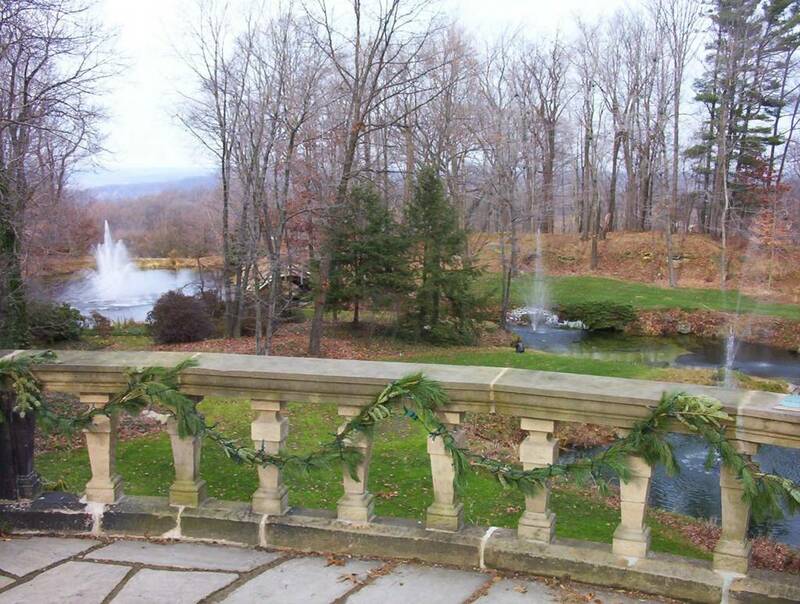 There are several beautiful gardens in the mansion. The tour starts by going to the left and behind the building. 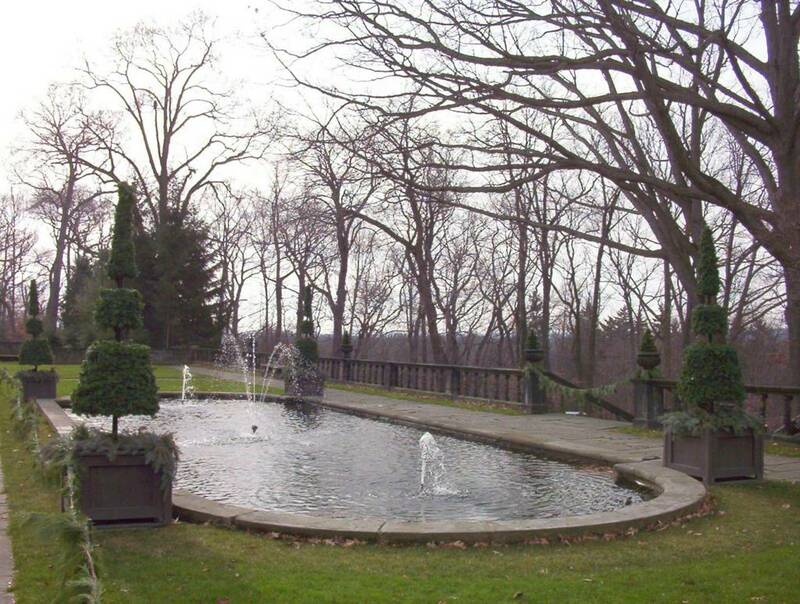 This garden shown above is located just behind the mansion house. The best season to visit is spring or summer, when all flowers are blossoming. 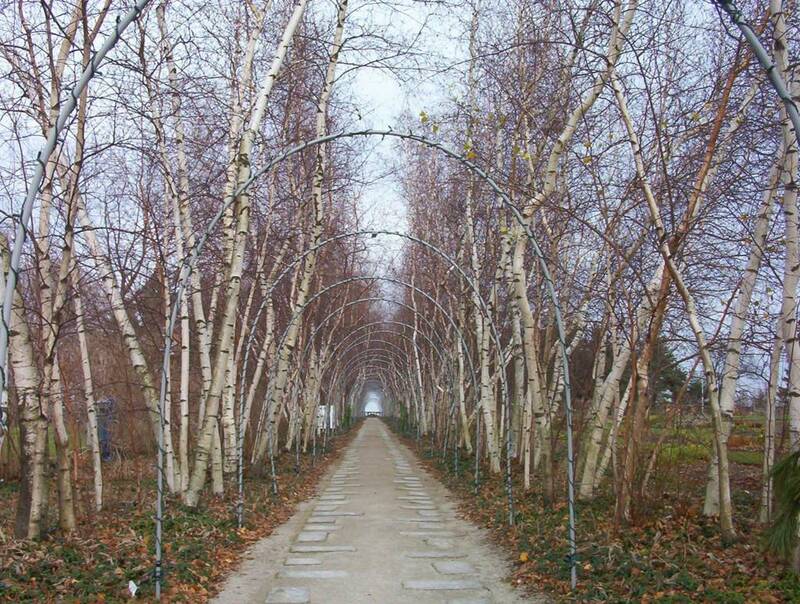 On your way to the Lagoon, you will pass under the arch of the Birch Tree Alley. There are two tea houses at the end, providing a bird eye view over a series of lakes called the Lagoon. Just follow our steps. The Lagoon; On our way back to the visitors parking lot, we get another glimpse at this magnificent house. It really feels like going back centuries. Save your trip to Europe to see those Scottish or English castles, we can see a castle right here in Ohio, minus the scary ghosts. Frank A. Seiberling was the co-founder and the current equivalent of a CEO of the Goodyear Rubber Company until 1921 when the recession forced him to resign. At the age of 62 and just six months after leaving Goodyear, F.A. started all over again and established the Seiberling Rubber Company in Barberton, Ohio. The new company was sold to the Firestone in 1964. Did famous people come to Stan Hywet Hall? Presidents Taft, Coolidge and Harding all visited. Thomas Edison and Shirley Temple also were here. 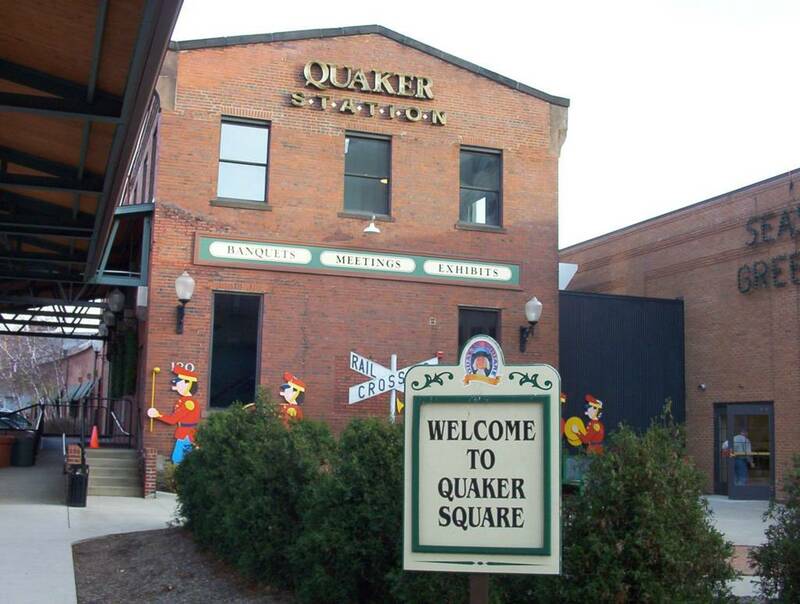 Since we are right here, in Akron, let's go downtown and check out the Quaker Square, where the famous cereal company started. Akron is called the Rubber City and it used to be the Cereal City before Quaker company moved to Chicago in 1970. 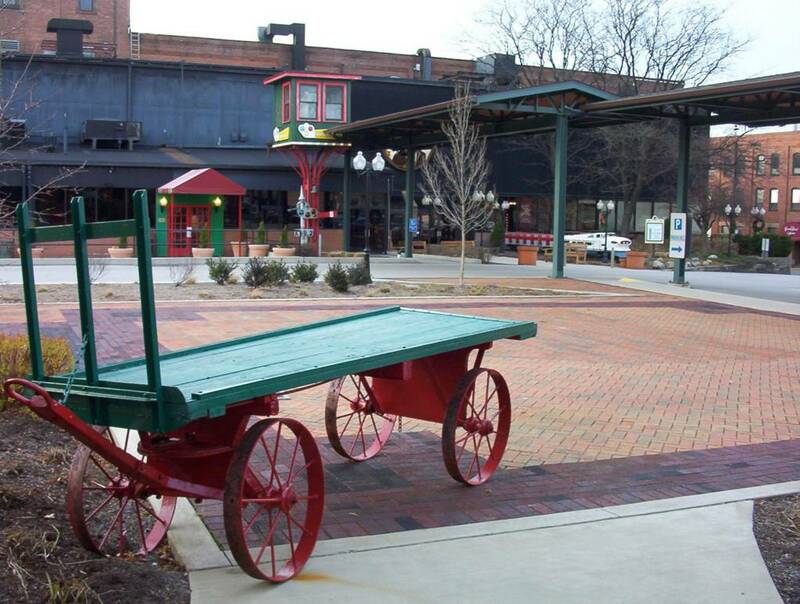 Check out all these old-fashioned shops and restaurants in the factory building. Akron claim to fame is its rubber industry which centered here toward the beginning of the twentieth century. Two companies were dominant: Goodyear and Firestone. Alcoholics Anonymous was founded in Akron in 1935. 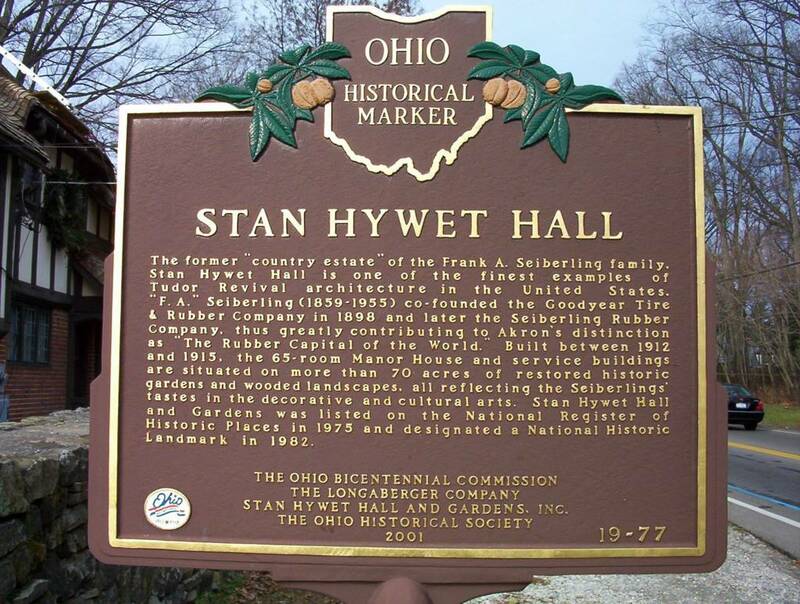 Stan Hywet Hall is located 20 minutes south of the Ohio Turnpike and is accessible by I-77 or I-71. The mansion is about 40 minutes south of Cleveland. Adults - $ 8, kids older than 5 years - $ 4. Parking is free. 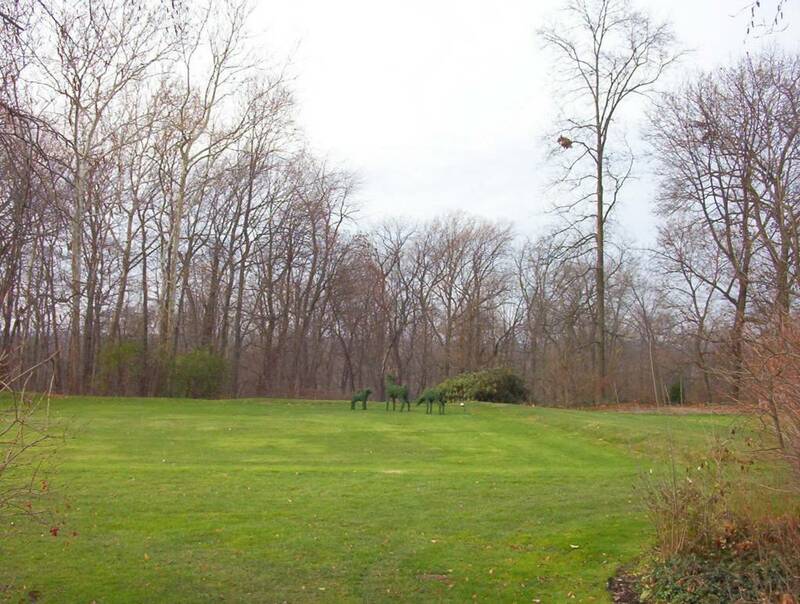 A virtual tour of the gardens landscape. 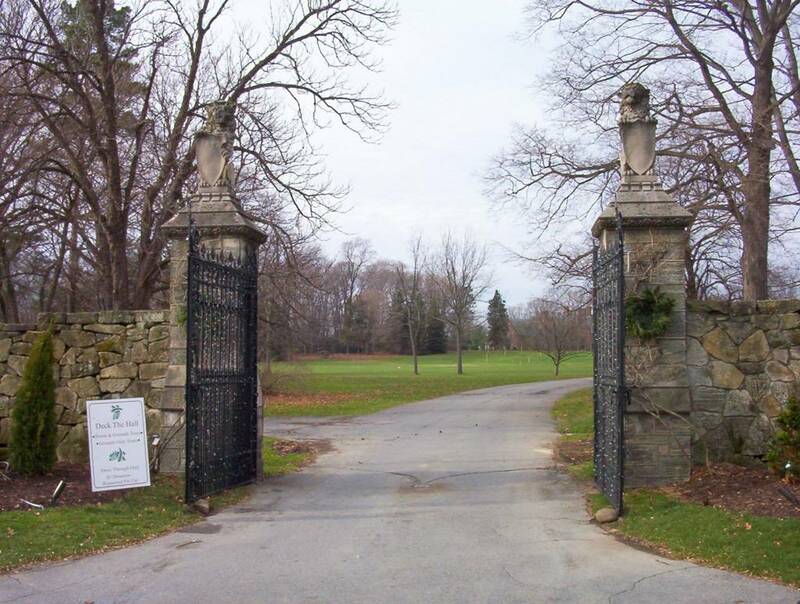 An audio garden tour that explores and explains the historic gardens. Click to see the map and listen.